Whether in an ancient town or by the sea, in a city center or on an island, night markets can be found as an essential part of Vietnamese lives. They give tourists the double chance to immerse themselves in our rooted culture. 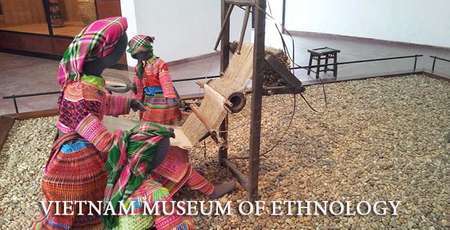 It is also a place where visitors, producers and local artisans meet up and exchange goods as well as knowledge. In this article, we highlight the 10 most emblematic Vietnamese night markets where you can get an interesting experience. → To wander along the streets, go shopping under the vibrant atmosphere. Taking place on Fridays and every weekends (From 6pm to 9pm), Hanoi night market is a particularly pleasant place for pedestrians. Starting from Hang Dao Street and ending at Dong Xuan Market, this market stretches up to three kilometers with many commercial activities and customary art performance, particularly lively traditional folk music shows on Saturdays. Strollers will be delighted to find themselves at night in the heart of ancient streets, such as Hang Ngang, Hang Dao and Hang Giay, which are overflowing with craft stands. It's a perfect place to find souvenirs for your family and friends. The market offers a large selection of typical objects: handicrafts, paintings, jewelry, clothes and toys, all at a relatively low price. 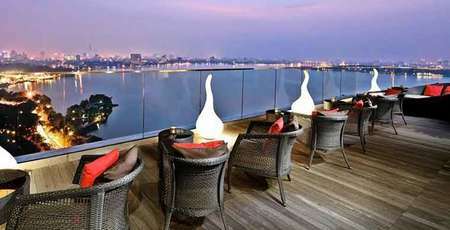 Furthermore, it is also a great time for foreigners to fully feel the special atmosphere of Hanoi. Quang Ba flower market, where you find various types of flowers such as pink, peach, chrysanthemum, lily. Quang Ba Night Market, the biggest flower market in Hanoi, normally opens after midnight till 3 or 4 am all year round, excluding several days before Tet holiday (Lunar New Year) from early morning until midnight. Discovering the market at night will give visitors a totally different experience in a particular nocturnal atmosphere filled with the fragrance of perfumed flowers. With many types flowers of all sorts and varieties with vivid colors in stalls or at the back of antique bikes along with busy trading activities, it will brighten up your day. Nowadays, it has become a favorite destination for many local resident and visitors. Located near the Bai Chay tourist site, Ha Long Night Market is established in the early 2015. It is spacious with lights and electric fans system and a place of great effervescence especially during summer. Still little known by Western tourists, it is nevertheless very popular with a large number of Asian tourists. This market, under the sign of the relaxation and the gastronomy, abounds with a large number of products characteristic of the coast such as souvenirs, handicrafts, jewelry, seafood and so on. It will please the greatest number of diners with different tastes and ages. Located at the crossroads of the Hoi An Old Quarter and contemporary neighborhoods, Hoi An Night Market takes place on the 300m of Nguyen Hoang Street, in front of the famous pagoda, Chua Cau. 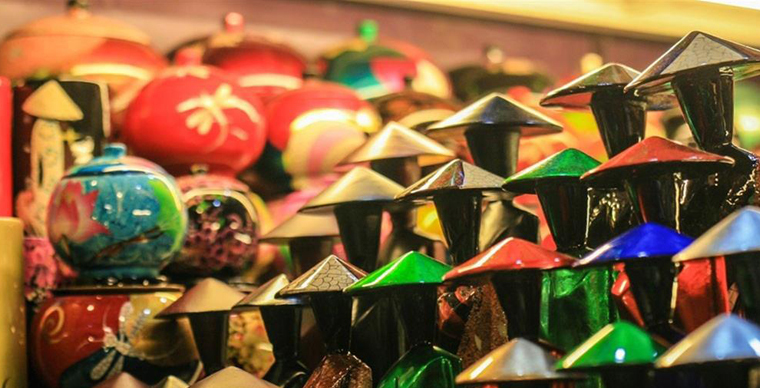 Just few steps wandering a long streets vendor, visitors can find various type of craft products such as colorful lanterns, bracelets, silk bags, flea markets, toys and many other adorable gifts. Besides, they can add more interest to an evening in the seaside by tasting the surprising local gastronomy. All typical dishes of Hoi An such as Cao Lau, Quang noodles, chicken rice can be found at a very reasonable price. The Nha Trang night market is located in the pedestrian area which is very close to the center of city culture (46 Tran Phu Street). You can discover the most surprising beauty of this city here. A large number of products are sold such as handicrafts from villages in the central south, culinary specialties, seafood from Nha Trang, Phan Thiet and Da Lat. It attracts both domestic and foreign visitors. Da Lat night market is also known as the hell market because of its mystical atmosphere with dim lights in the darkness and mist when it opens at midnight around 2-3 am. After mid-noon, this market specializes in wholesale activities. It is also an ideal place to find beautiful wool sweaters, silk scarves and other specialties gifts at a reasonable price. Tourists can also wake up their taste buds with special flavor of street food such as soy milk, grilled girdle cakes or so called "Vietnamese pizza", crab paste vermicelli, and many other delicious dishes. Opened since June 2017, Phan Thiet Night Market is easily accessible for tourists to visit and go shopping thanks to its location in the center of a new urban area, which is very close to the sea and many restaurants, hotels as well as entertainment centers. Similar to other big night markets, many products are available in Phan Thiet market. It is an excellent experience to go out at night and meet the friendly inhabitants of the coast while enjoying tasty seafood and specialties of Binh Thuan. → To acquire beautiful presents, especially for young people looking for authentic commodity. The Ben Thanh Night Market is on the two side of Ben Thanh market, located in the central district of Ho Chi Minh City (Saigon) which is particularly alive at night. 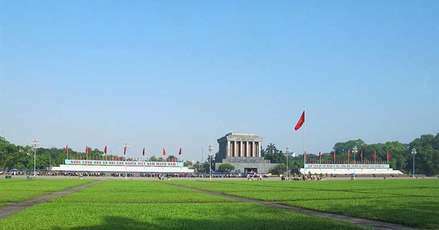 It is an attractive tourism landmark for foreigners to discover a festive and pleasant atmosphere, the nightlife in one of the most dynamic metropolis of Vietnam. Whether you are an expatriate or a tourist, this market is an indispensable place in your travelling book. It is also a favorite place for the young people who hunt for unique stuffs. 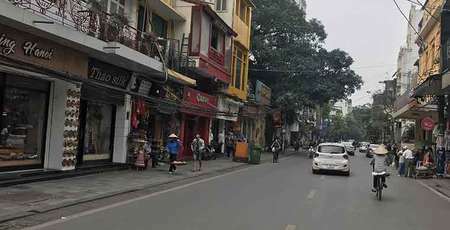 In addition, tourists cannot leave the market without trying the popular local dishes and famous regional specialties or street food such as Hanoi pho (Hanoi noodles), Hue beef rice noodles and Nam Vang or Phnom-penh clear rice noodle soup. → Enjoy gourmet pleasures during a summer vacation. Located in Bach Dang Street, along Dong Duong riversides, Phu Quoc Night Market is a new market in Phu Quoc Island. 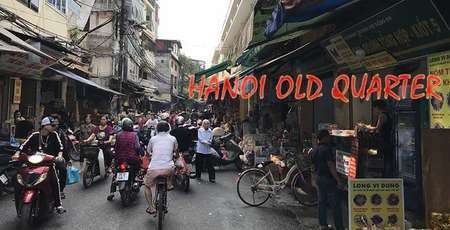 It has revived the old and very famous Dinh Cau night market under a whole new look with various of spacious well-equipped stalls. With seaside lanes, this market offers a great idea for an unforgettable night trip. It will seduce especially seafood lovers, who have the advantage of freshness while being very affordable. It is also full of a thousand kinds of jewelry that will allow you to find a perfect gift for your family. This market is a particularly interesting cultural stop for those are hunger to discover the characteristics of the most important regions in the southern delta. You can spend a typical Southwestern evening for culinary discoveries and multiple entertainment such as street concerts. Here you will find the most appetizing tropical fruits like jackfruit, durian, mango and coconut. Before closing a traveling chapter, tourists could not forget to try the local gastronomy, especially those most popular cakes such as Tet cake (Sticky rice cake), Tra Vinh cake or fried and grilled fish. Excellent discovery and good taste!